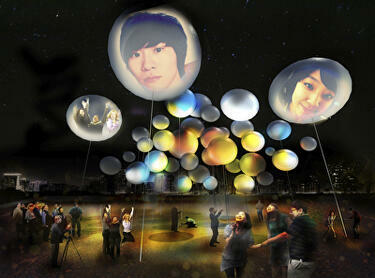 An artist's impression of an installation that forms part of the '60 Lights Market' at the LUXCITY event. 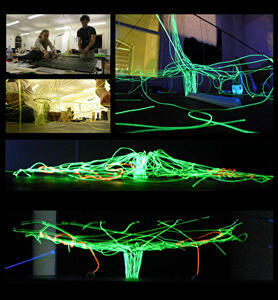 A montage of photographs of the creation of the installation 'Tonic'. 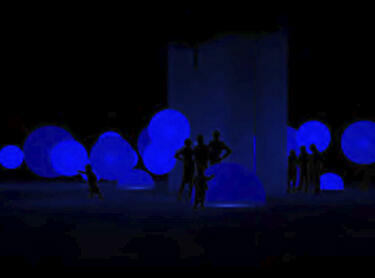 The installation is part of the LUXCITY event. 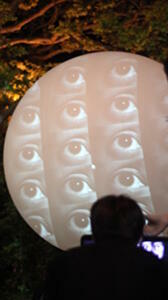 A photograph of an installation titled 'In Your Face'. The installation is part of the LUXCITY event. 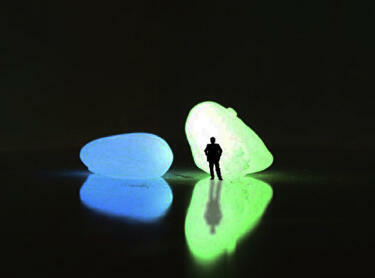 An artist's impression of the installation 'In Your Face', created as part of the LUXCITY event. 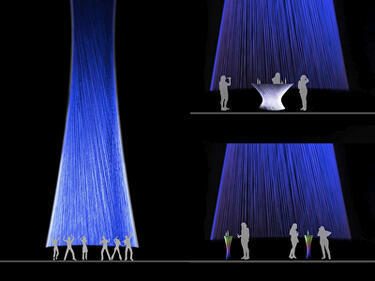 An artist's impression of the installation 'Archrobatics', created as part of the LUXCITY event. 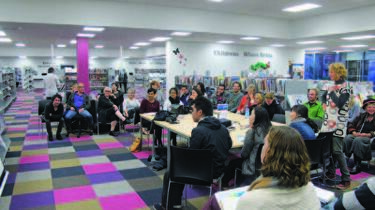 A photograph of a meeting being held in the Central Library Peterborough. 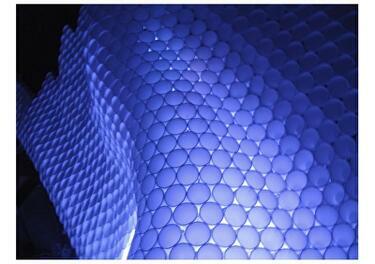 A photograph of an installation titled 'Murmur'. The installation is part of the LUXCITY event. 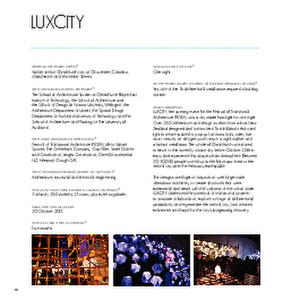 A PDF copy of pages 28-29 of the book Christchurch: The Transitional City Pt IV. 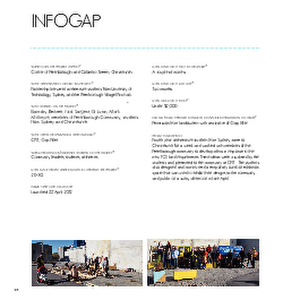 The pages document the transitional project 'Infogap'. A photograph of an installation on the corner of Gloucester Street and Colombo Street. 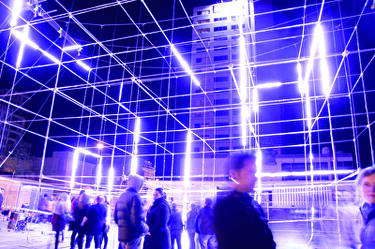 The installation is titled "Etch-a-Sketch", and is part of the LUXCITY event. 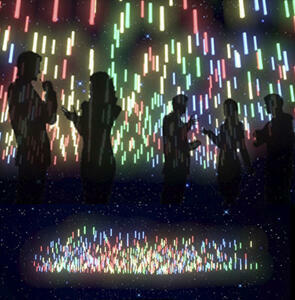 An artist's impression of the installation 'Tonic', created as part of the LUXCITY event. 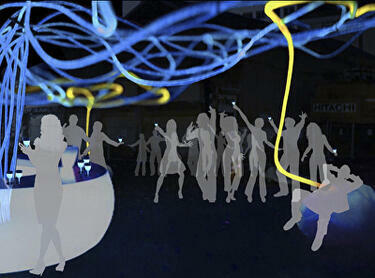 An artist's impression of the installation 'Etch-a-Sketch', created as part of the LUXCITY event. 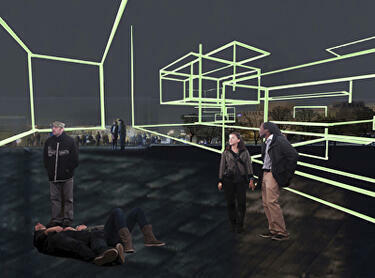 An artist's impression of the installation 'Altitude', created as part of the LUXCITY event.